Lock in a great price for Copthorne Hotel Manchester – rated 8 by recent guests! As I was traveling from Ireland with my 5 year old son to watch a Man U tied match I found the location incredible and convenient as Old Trafford is practically across the road.Very friendly staff greeted us on arrival and also very polite friendly staff at breakfast time.Will look forward to staying here again. Close proximity to Old Stratford, free parking and breakfast included. - The location was so beautiful in-front of the river. 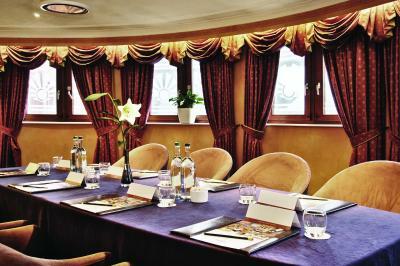 - The staff were so friendly and helpful all the time. 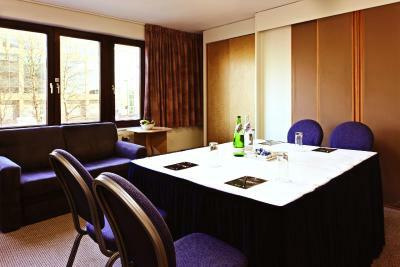 - Clean room with good facilities. - Near Exchange Quay Tram stop, which was so helpful and reliable for my trips. Very comfortable room with little extras and over looking the water was a nice bonus. Good location for tram to get into City or up to Media City. Free parking, probably the factor which swung my choice when making the booking. The location is great for old Trafford 10min walk. Staff very nice and friendly, breakfast was ok.
Shower was a dream, power shower option, bathroom was very clean and modern. Staff were very helpful. Free car parking was great, large spaces! Lovely view of the quays from the room we had. Room and bed very comfortable. Lovely view of the river. Staff very friendly and welcoming. The location of the property to attend an event at the Old Trafford Stadium and the availability and ease of car parking facilities. 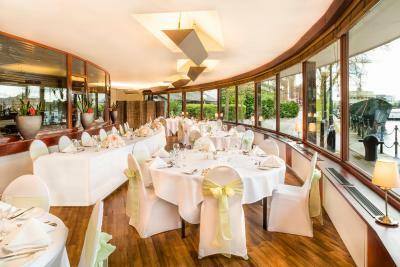 Also the staff on reception and, in particular, the waitress in the restaurant in the evening, were very friendly and eager to please. 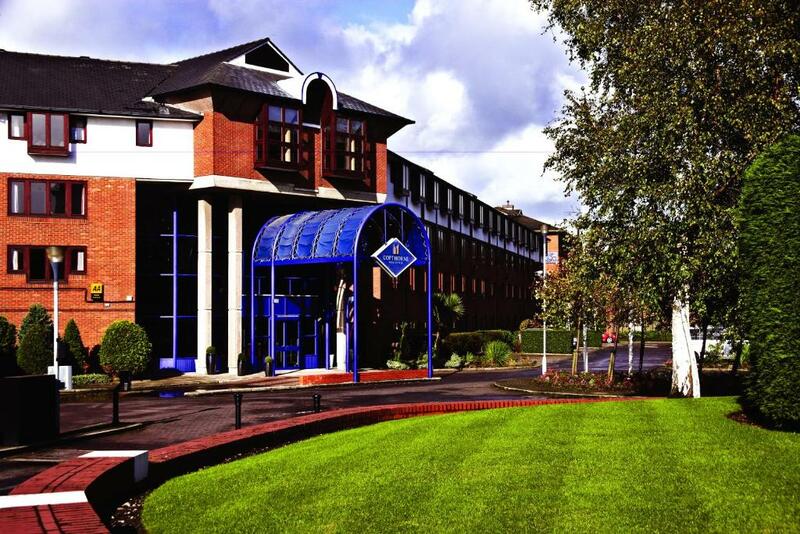 Copthorne Hotel Manchester This rating is a reflection of how the property compares to the industry standard when it comes to price, facilities and services available. It's based on a self-evaluation by the property. Use this rating to help choose your stay! 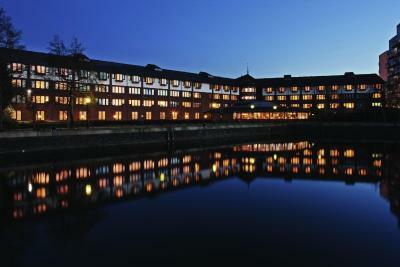 Some bedrooms at Copthorne Manchester overlook the water. All are spacious and offer a flat-screen satellite TV, coffee and tea making facilities and private bathrooms. There is a 24-hour room service on site. 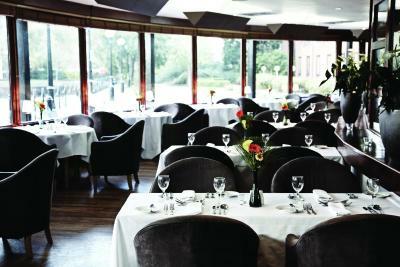 The stylish Quays Restaurant offers British and international cuisine until 22:00. The bar also offers meals and snacks, and shows live sports. Further facilities at the property include a business center. 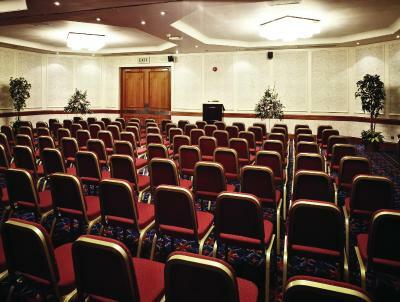 Copthorne Hotel Manchester is a short walk from Exchange Quay and Salford Quays Metrolink tram stations. The Lowry Center theater and gallery is just under a mile away. 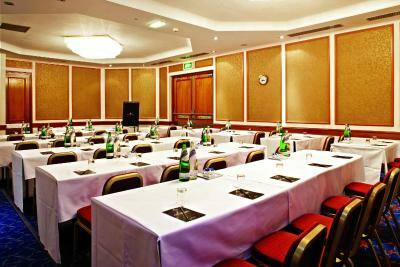 When would you like to stay at Copthorne Hotel Manchester? 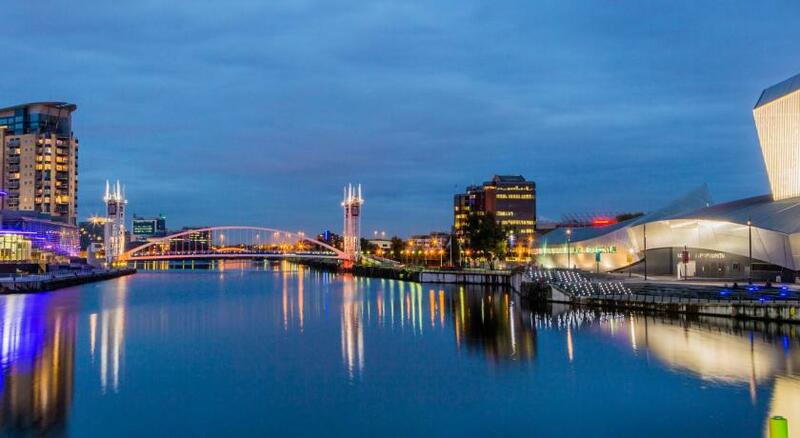 Situated on Clippers Quay, Salford Quays the property is easily reached via the M602 motorway or by tram (alight at Exchange Quay). Old Trafford, home to Manchester United FC is only a 10 minute walk away and MediaCityUK is also only 15 minutes away, home to the BBC, ITV, Salford University, Lowry Theatre and Lowry outlet mall. 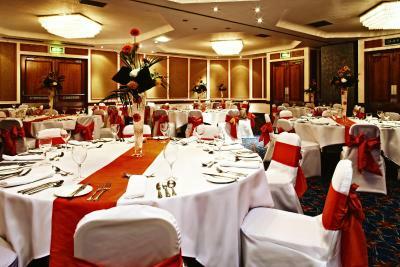 House Rules Copthorne Hotel Manchester takes special requests – add in the next step! 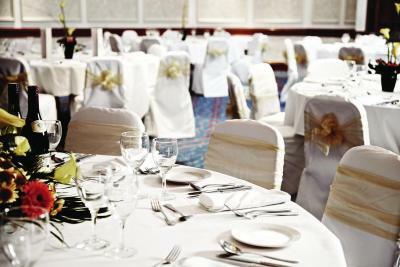 Copthorne Hotel Manchester accepts these cards and reserves the right to temporarily hold an amount prior to arrival. Everything. No air conditioning, decor and room dated. Dangerously hot water, had to be very careful. Breakfast was appalling, certainly not worth £20. This is a hotel desperately trying to compete with the larger brands and failing spectacularly. Was not what we expected at all. For me, the hotel was in a great location, was very pleasant with a large ensuite and fine waterfront view. The staff were most obliging and arranged that I could park longer at the hotel than strictly permitted. The breakfast offered a range of cereals, fruits, juices and yoghurts as well as the more traditional and the staff were helpful and cheerful. I hope to return on my next trip to Manchester. Rooms are dated. No air con. Alarm pull cords make it feel like a retirement home. Bed was 2 singles pushed together in a bizarrely laid out room. Clean and quiet. Friendly staff. Breakfast buffet was ok. Varied choices. Scrambled eggs were watery and mushrooms were huge. Good coffee and pastries. Great location for what we needed. Bed was amazingly comfortable. Breakfast was fabulous and well worth the extra money. Rooms a bit shabby and needed deep cleaning and absolutely boiling hot with no way of cooling other than a small fan. Massive room, great shower, staff very friendly and helpful. We were asked for a voucher in order to have breakfast.The voucher had been left in the room.I had to return to the 4th floor to fetch the voucher.I would have thought that our entitlement to breakfast would have been associated with the room number. Bathroom slightly dated but super powerful shower! Great location for OT. Nice and quiet. Location was good, bed was comfortable, breakfast was average.